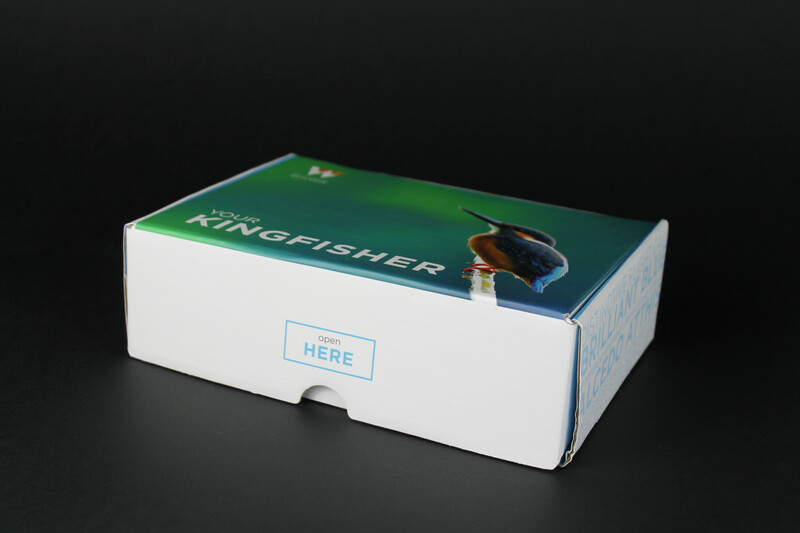 We were approached by Walthamstow Wetlands to design and produce an adoption box to help raise money for the conservation of the presitgious Kingfisher. 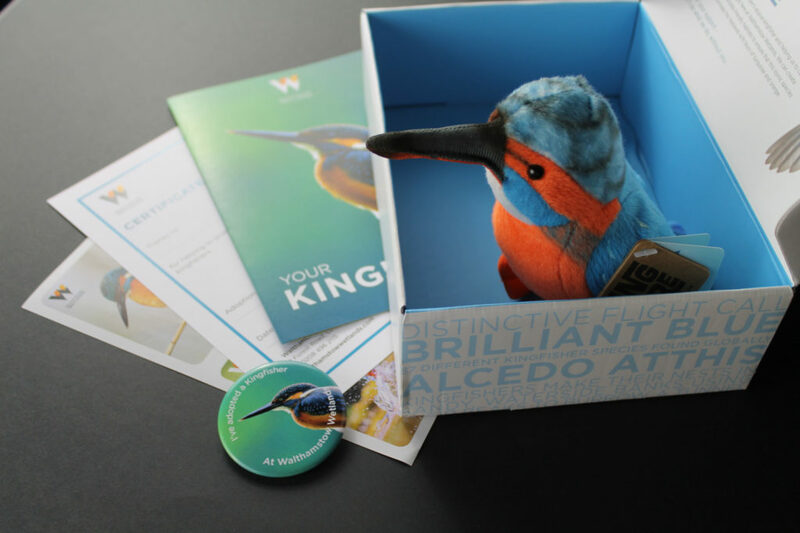 The adoption pack needed to include a leaflet with facts about the Kingfisher, stickers, an A3 poster, plush kingfisher toy, a badge and a certificate. 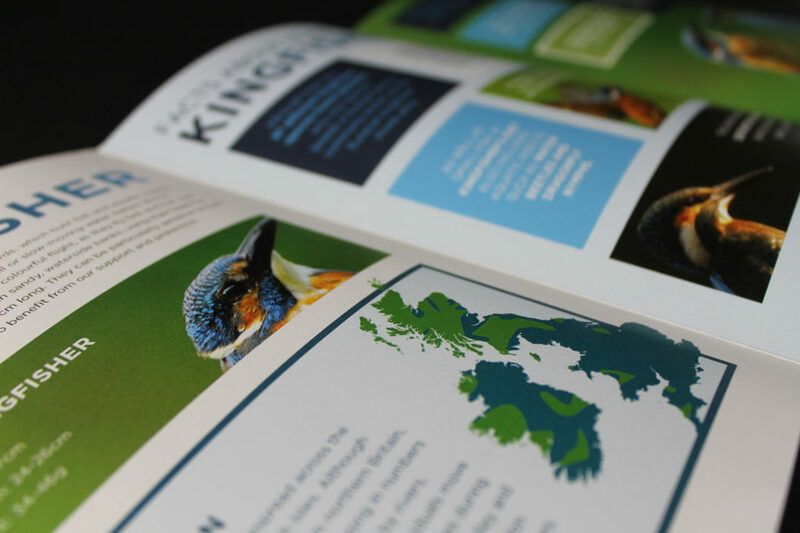 We started the project by first designing the leaflet and then using the style to create a consistent look for thw whole of the adoption pack. 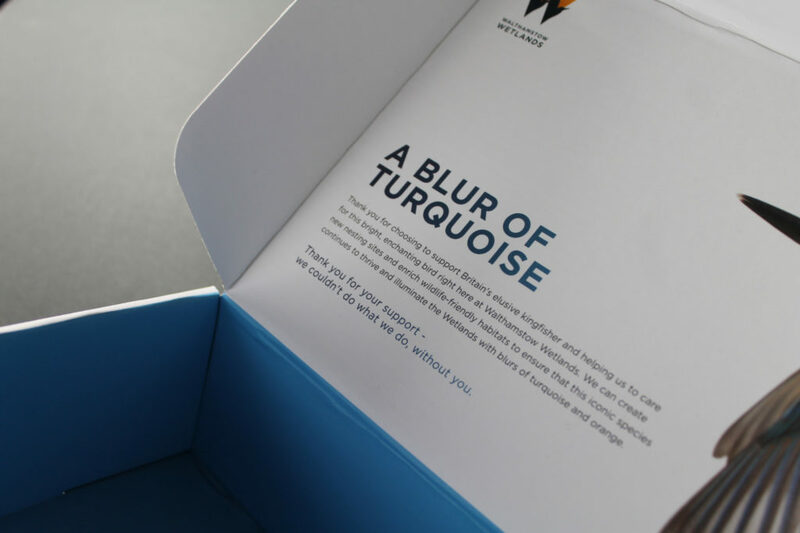 We really wanted to give the adoption pack a modern feel and use bright and vibrant photography to enhance the look of the design. 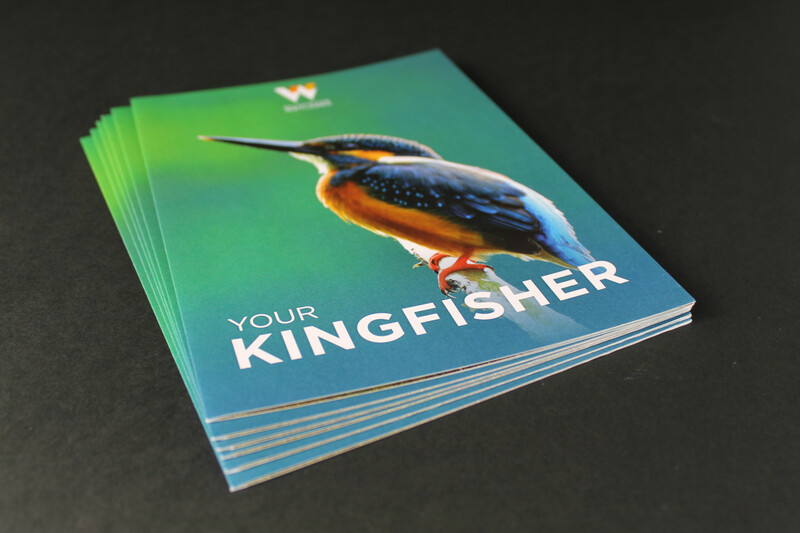 We used the beautiful turquoise tones of the Kingfishers’ feathers to the aid the design and give depth and interest to the design. We were very happy with the overall look and and feel and so were our lovely clients!